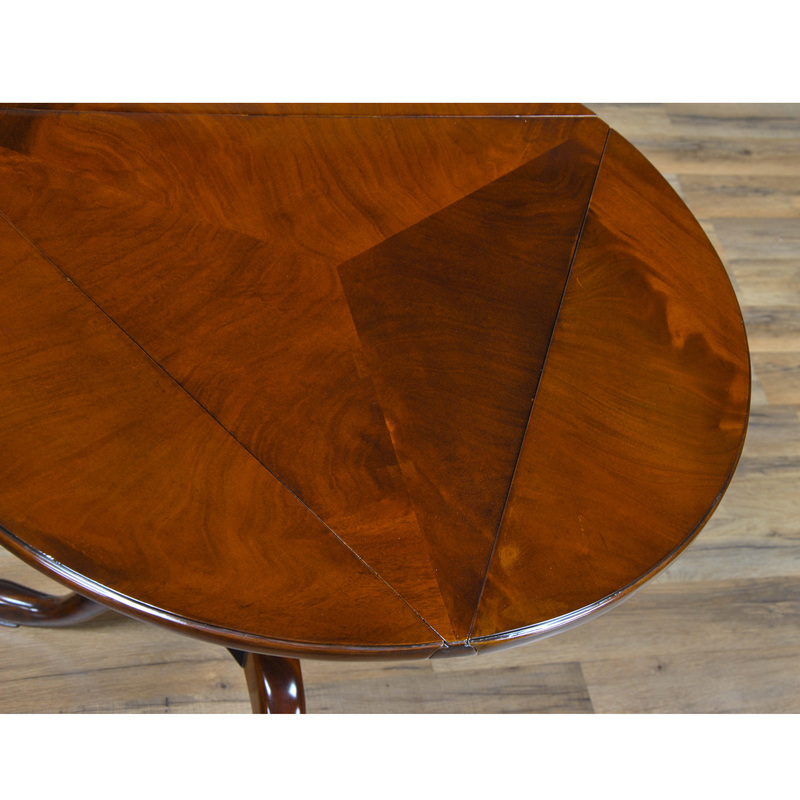 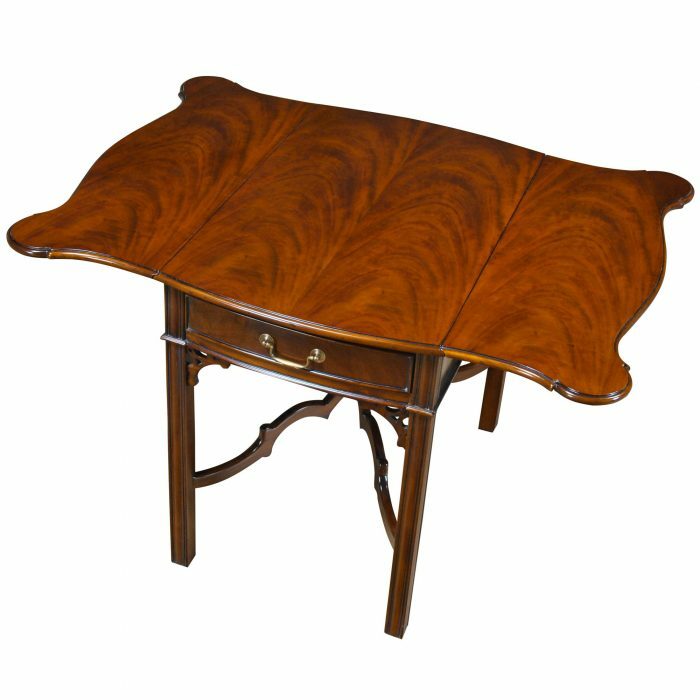 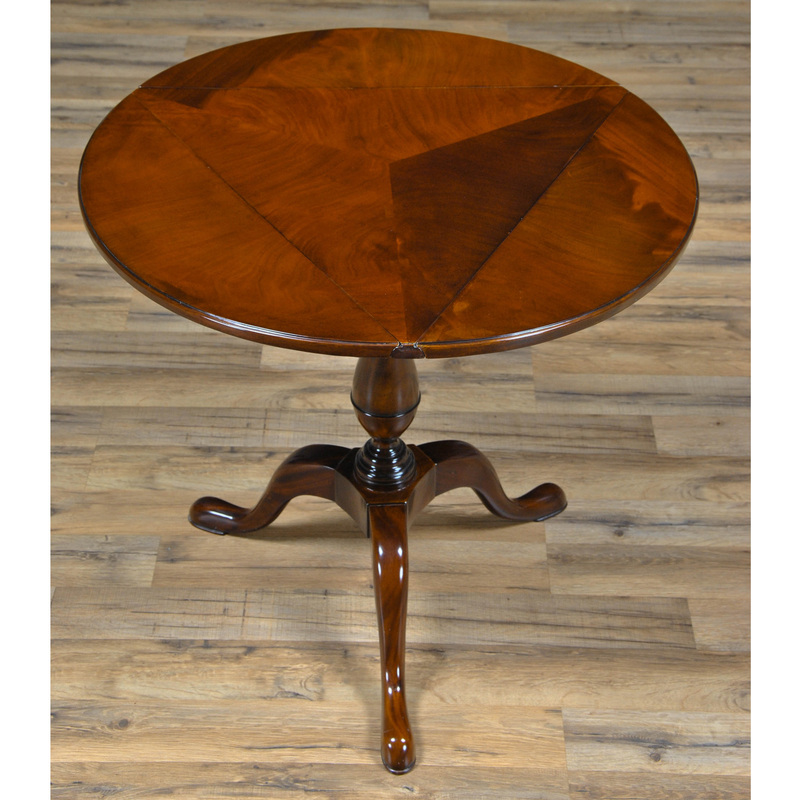 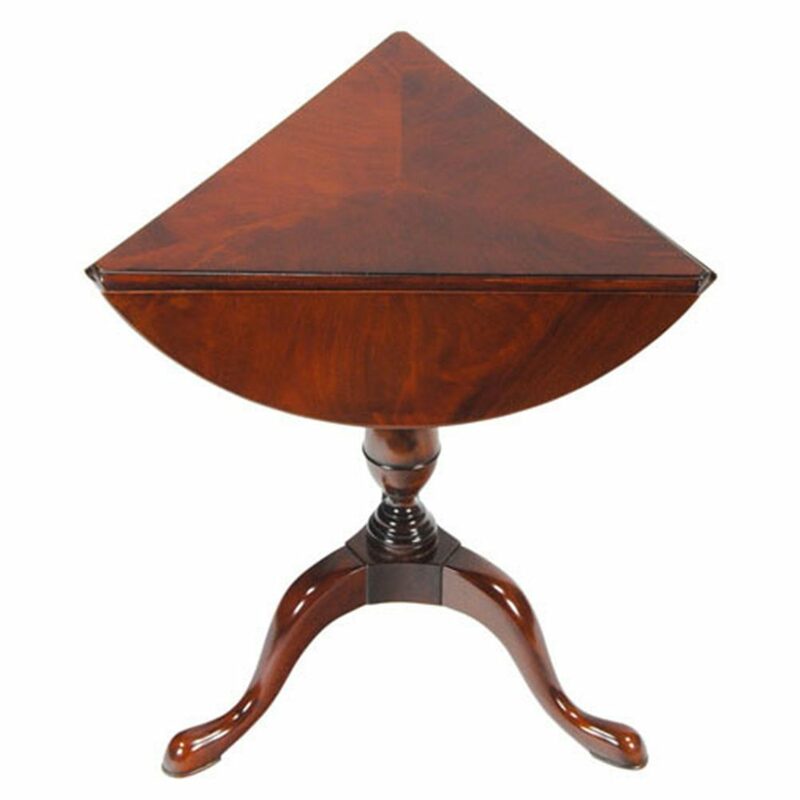 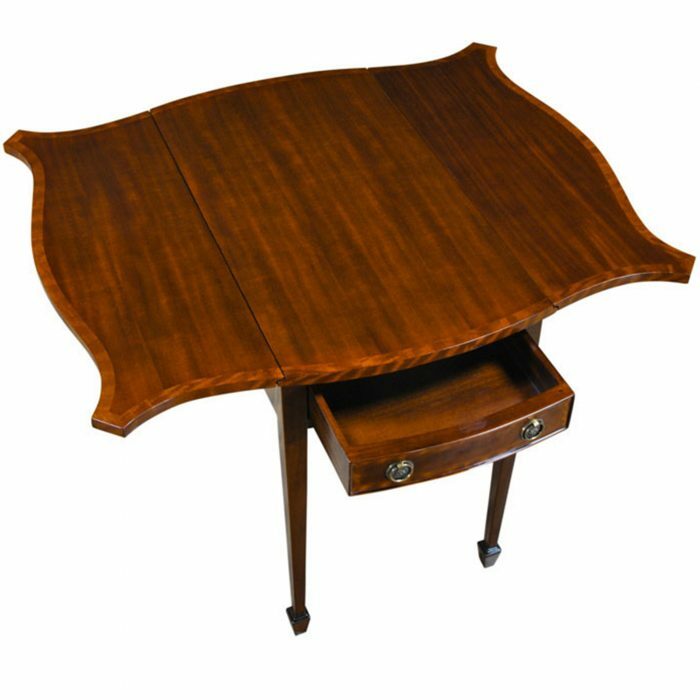 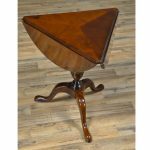 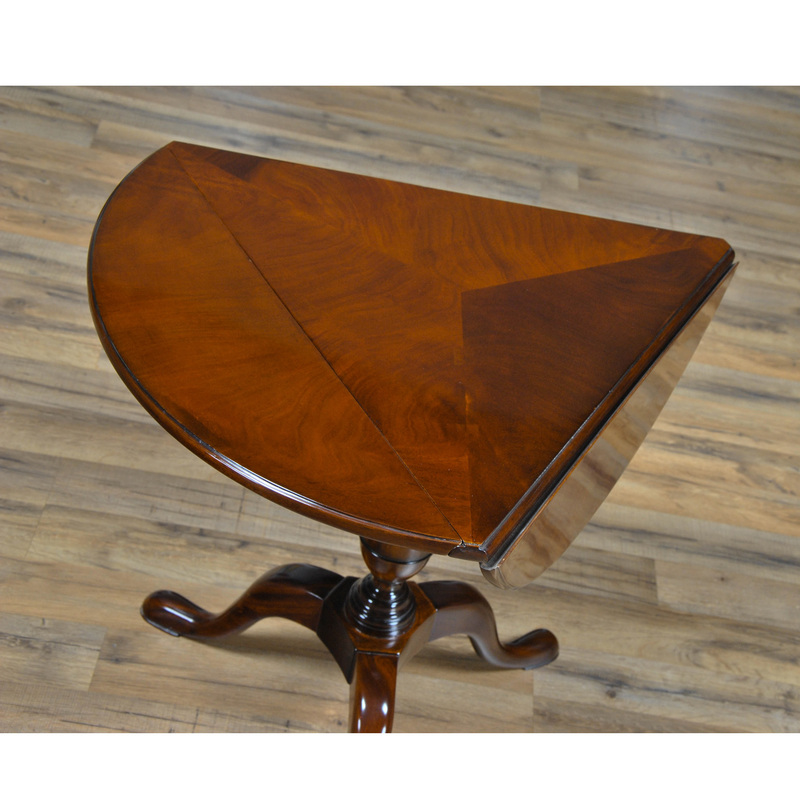 Decorative and versatile this Tripod or Handkerchief Table from Niagara Furniture closes to a small triangular size when the leaves are not in use and opens to a beautiful round table when they are opened. 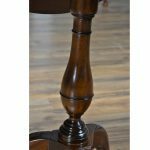 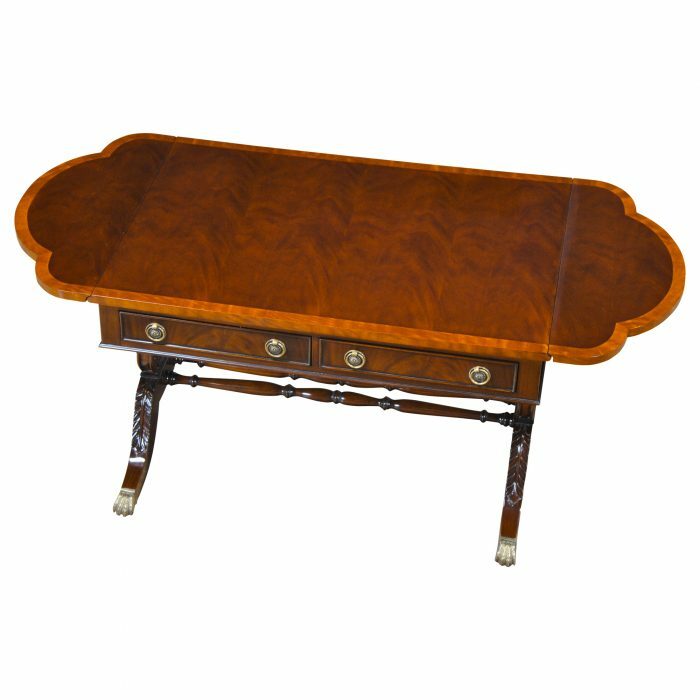 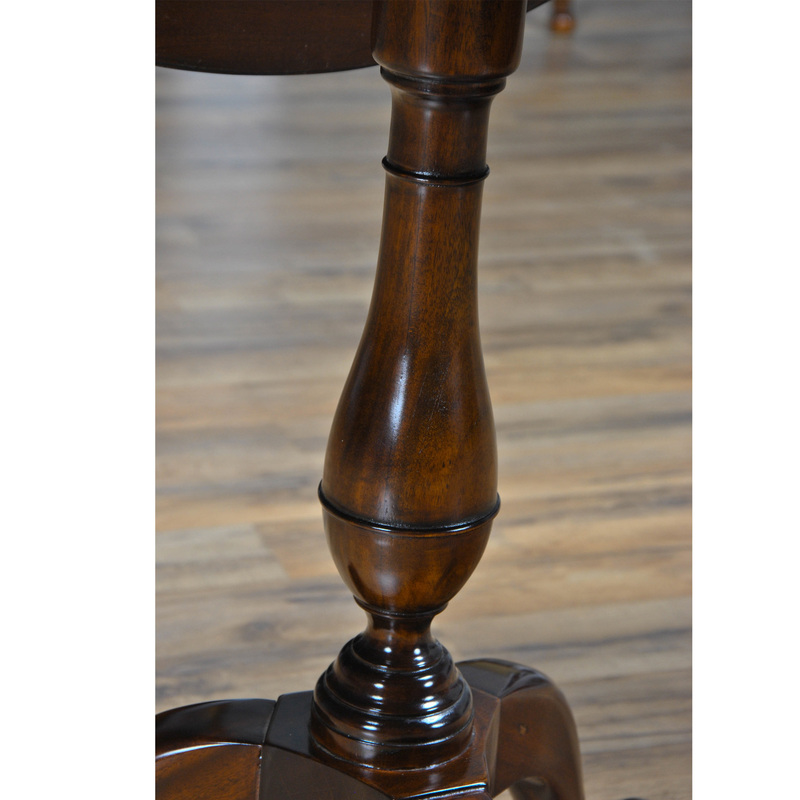 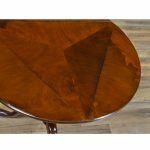 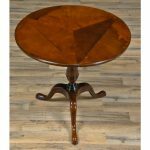 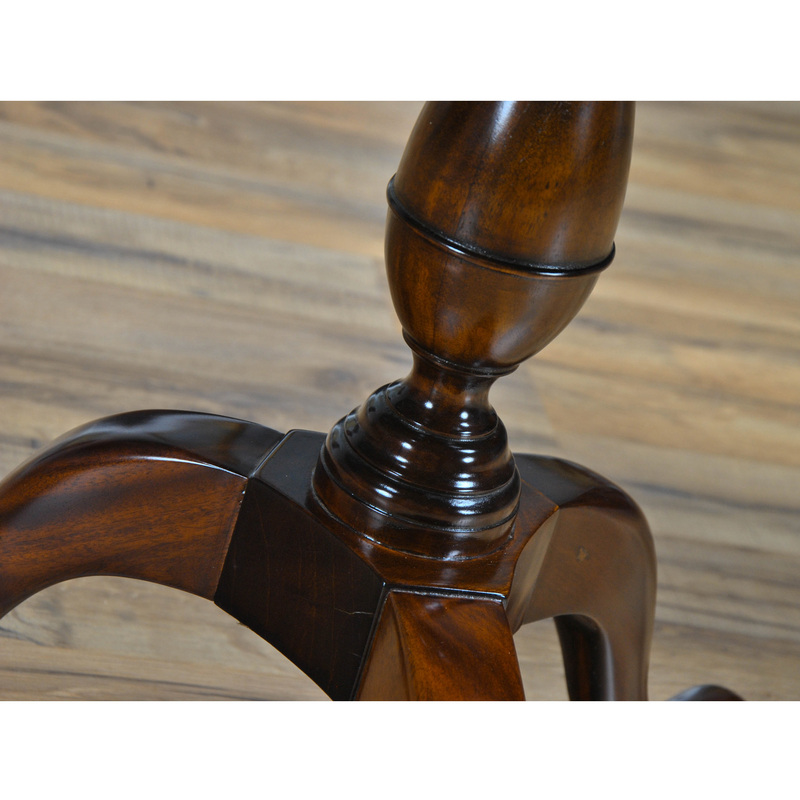 Beautiful figured mahogany veneers create striking patterns on the top and solid mahogany, hand turned and hand shaped base below makes it sturdy. 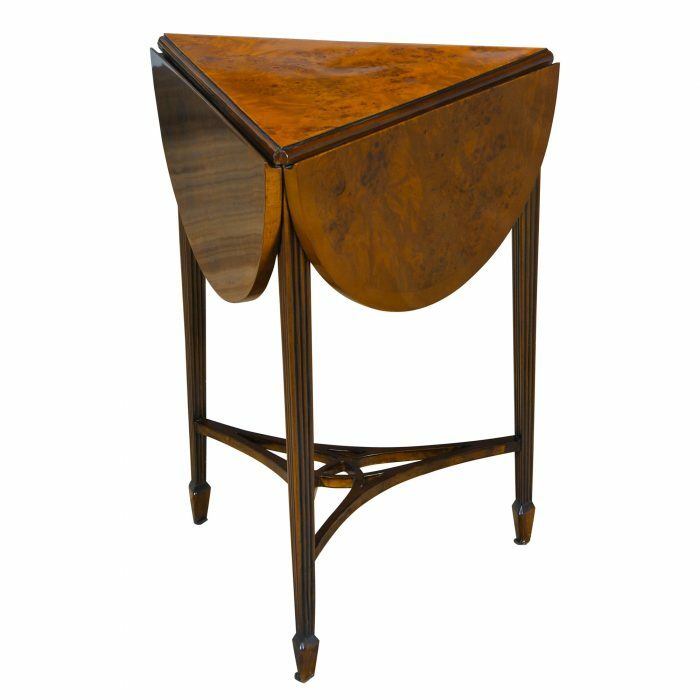 Taller than many tables built in this style our Handkerchief Table fits into modern living spaces more readily than many antique versions of the same style table.